Do you ever have those weird days where everything is fine? Business is great, your relationships are healthy, life is just plain beautiful. And on the following day you do a complete 180 and everything just feels absolutely awful and the world is ending? That happened to me a couple of weeks ago. Everything was fine and dandy on Friday. I was on cloud nine and the queen of the castle- but come Sunday, it felt like nothing was going right. What happened? Luckily, my husband was quick to call me out, something he is always the first to do. He told me that what I was feeling wasn't necessarily true, that it didn't really reflect my reality. That's perfectly natural. Everyone goes through it; your feelings sometimes lie to you! And often in very big ways! Later that same week, one of my co-workers and teammates had the exact same problem. She'd been really busy for three days in a row. Wednesdays are her downtime, and then she basically was just done, "I'm so far behind, I feel awful and honestly? I think I'm just gonna throw in the towel." You know what I did? I took a page from my husband's book and called her out on it. I told her, "You're tired. You're hungry. You're exhausted! Your feelings are lying to you right now. Nothing is as bad as it seems. You probably need to eat and take a nap!" 1. Set minimums. Figure out what your minimum daily activity is. What is the smallest action you have to take in order to feel like you're being successful? What is the tiniest thing you can manage to do to feel productive, even if you don't really feel like doing anything right now? You're going to have to be consistent and disciplined with this minimum action so you can keep moving forward, even when you don't feel like it. Use it to kickstart yourself into feeling better and getting motivated! 2. Find someone to call you out. Friends who go "Hey, it's going to be okay! You'll be fine!" and leave it at that, while well-intentioned, can't fill this role. You're going to want someone objective but constructive, someone who can go: "Okay, let's be real here and look at exactly what is going on and why you may be feeling that way. Let's analyze everything and see where you're really at." Sometimes it's wise to listen to your emotions- they can tell the truth, too. Maybe you do need to make some real changes. Or maybe that sinking feeling comes from different places: you being tired, hungry or hormonal. Remember: feelings lie sometimes. It happens to the best of us! You'll need someone to see the truth, give you a hearty wake-up call, and point you in the right direction. 3. Remember that emotion follows motion. We all need breaks. We're human. We need to recharge! And sometimes when you do take a much-needed, well-deserved break, you may end up feeling worse than you did before. Your excitement about what you were working on - a project, your business - seems to have wavered. 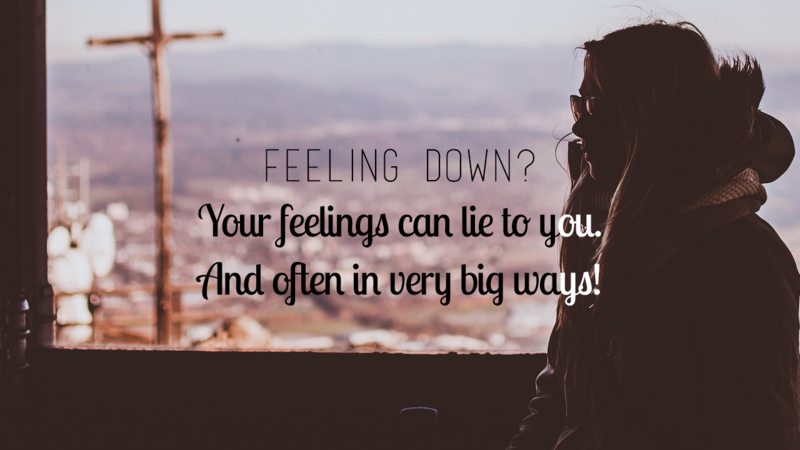 Remember that when you take some down time, it's common for your emotions to go down, too. That's because you'll be coming off of an adrenaline high, which often happens after big events. Realize that is natural- emotion follows motion! Moods fluctuate! The best thing you can do to get yourself back up on your feet and get motivated again is to get moving! Taking action can really negate a lot of negative feelings. Go outside and do something. Anything that'll get you pumped. Move. You'll start to feel better right away. Your brain will get refreshed and before you know it, new ideas will start popping up. Your motivation is back to a high and you'll begin to feel excited again!